The Chester County Elder Abuse Task Force will present an Elder Justice Day on Wednesday, May 21, at Westminster Presbyterian Church, West Chester, from 9:30 a.m. until 1:30 p.m.
“This program is open to the public, but any organization that works with seniors, such as staff members of senior centers and continuing care facilities, are encouraged to attend,” said Wanda Stonebraker, director of the Chester County Department of Aging Services. The topics to be covered include guardianship, information on the Attorney General’s Office, scams, power of attorney, understanding the court system, and the Chester County Department of Aging Services. Those wishing to attend should call 610-344-6035 by May 2 to reserve a spot, a county news release said. 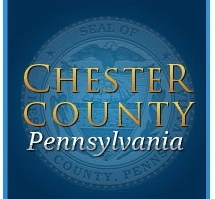 The Elder Abuse Task Force began in Chester County in 2007 and consists of members of law enforcement, the District Attorney’s Office, private attorneys, and personnel from the banking industry and the Chester County Department of Aging, the release said. The task force’s mission is to facilitate and develop expertise in prosecuting elder abuse; train professionals, such as bank staff and medical personnel, to identify and report cases of potential fraud and abuse; and educate the public about elder abuse and how to prevent and report it.